Work has been kinda crazy this week, but it’s hard not to feel content when the sun is shining and there’s this delightful breeze blowing through the apartment. I know it’s not the most exciting topic, but the weather we’ve been having this week is incredible. I went for a run this week around noon, and it was so sunny and in the crisp upper 60s. I’m spoiled for life. This is the first weekend in a while where we don’t really have anything planned. I’m looking forward to catching up on some work (and blogging!) and getting some downtime. What are you up to this weekend? Love this post about being honest with yourself. Really interesting post about women in WordPress. Discussed my workout wardrobe issues. Talked about studying the work of others and looked at some great examples of painted lettering. Love your photos! 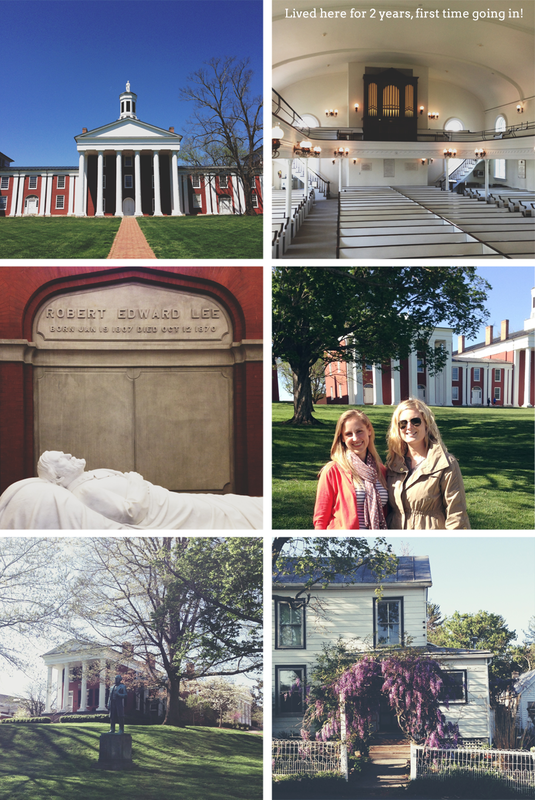 I visited the W&L campus several times and wanted to go there soo much! It didn’t work out but I still think that campus is my favorite :) happy weekend! Thanks for including my link! I’m glad it made you laugh :) Have a nice weekend! I’m a MD girl through and through, but VA knows how to do spring!